The index opened flat to positive but saw huge long liquidation from the onset to close near the lows of the day at 7109.55, huge loss of 125.00 points. The broader market was weak with 349 advances to 1206 declines. The range has narrowed down to 7000-7200. 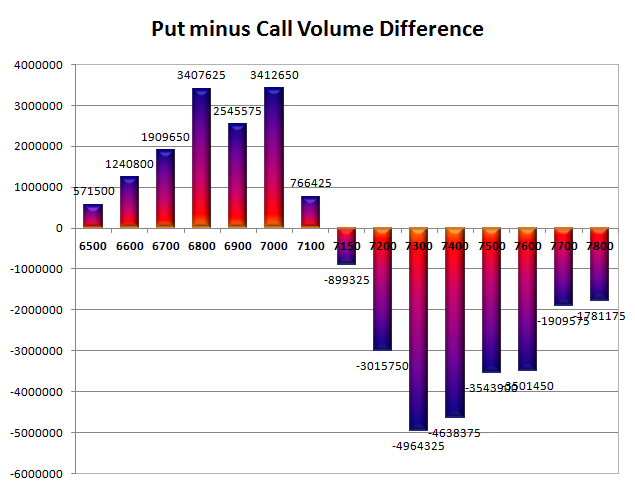 Call option 7100-7200 added huge 56.72 lacs OI with profit booking seen at 7300 and above strike prices. 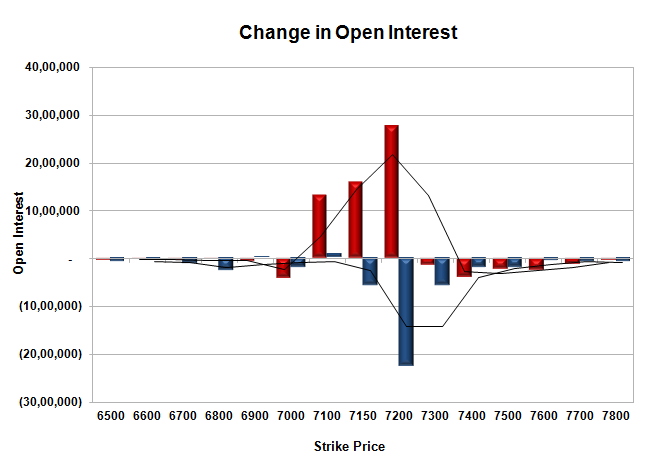 Put option 7100, 6900 added 1.36 lacs OI with short covering seen at 7150 and above strike prices. Nifty Open Interest is at 1,43,30,250 down by 42,78,825, whereas Mar series added 39.45 lacs with decrease in price, mostly roll-over with some long liquidation. Bank Nifty Open Interest is at 20,94,060 down by 20,160, whereas Mar series added 5.04 lacs with decrease in price, small roll-over with huge short build-up. FII’s bought 1.09 lacs Futures, which includes net 5304 contracts long build-up and 935 contracts short build-up, with increase in net OI by 6239 contracts, includes 143212 longs to 138843 shorts for the day. FII’s Index future open contract as on date is 179829 Longs to 170220 Shorts, Net 9609 up by 4369 contracts. 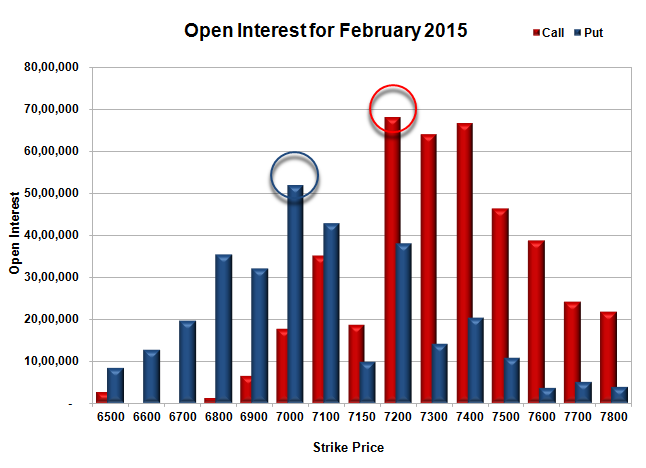 Initial support at 7100, with OI of 42.72 lacs and below that at 7000 with OI of 51.85 lacs. Initial resistance at 7150, with huge OI addition of 15.89 lacs and above that at 7200 with highest OI of 68.09 lacs. Day Range as per Option Table is 7047 - 7228 and as per VIX is 7021 - 7198 with 7147 as the Pivot.